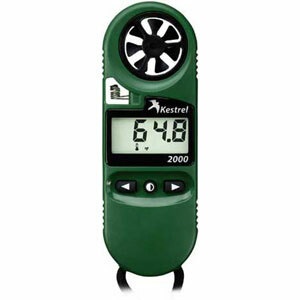 Measures wind speed, temperature, wind chill, relative humidity, heat stress and dewpoint in one pocket sized instrument! 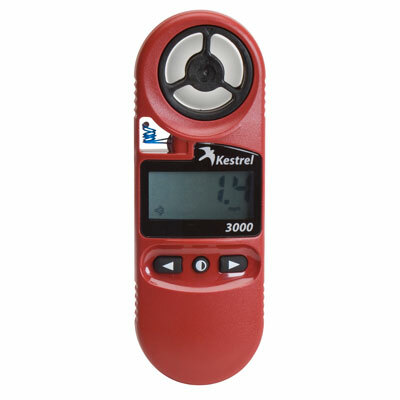 The Kestrel* 3000 is the rugged hand held weather station preferred by foresters. For wildland fire or seedling survival the 3000 offers accuracy to within +/-3% for wind speed and relative humidity. For temperature, wind chill, heat index and dewpoint it is accurate to within 1.8 degree F. All these features plus a 5 year warranty make the 3000 a great choice.